It’s always exciting to see evidence of new businesses coming to Redwood City. Restaurants are the easiest to detect since, unless they won’t be serving alcohol, they have to publicly post a liquor license application fairly early in the process. The posted application has only basic information, but from that I can look up the new business on the California Department of Alcoholic Beverage Control’s website, from which I can glean a bit more information about the prospective business, such as the name of the principals involved. As someone who greatly enjoys having a glass of wine and a cheese plate at Cru, I’m looking forward to giving The Bottle Shop a try. Although they won’t be opening this month, they might make it by the end of this summer. I’ll certainly be keeping a close eye on the place, and will let you know when they do indeed open for business. Whether or not it’ll ever actually open as an ice cream shop, well, your guess is as good as mine. Here’s hoping, though: it would be a nice addition to this part of Broadway. I mentioned that one way I can learn about a new restaurant is through the posted liquor license application. That doesn’t work, however, if the restaurant won’t be serving liquor. Thus, I have to rely on other sources, or simply wait until the business puts up some sort of “Coming Soon” sign. Thanks to Elena Kadvany’s food blog, I’ve learned that at long last one of the two retail spaces in “The Marston by Windsor”—the large apartment building at the corner of Main and Marshall that was completed last year—is finally getting a tenant: a coffee bar. Marston, with its 196 apartments, is largely viewed as a residential building. 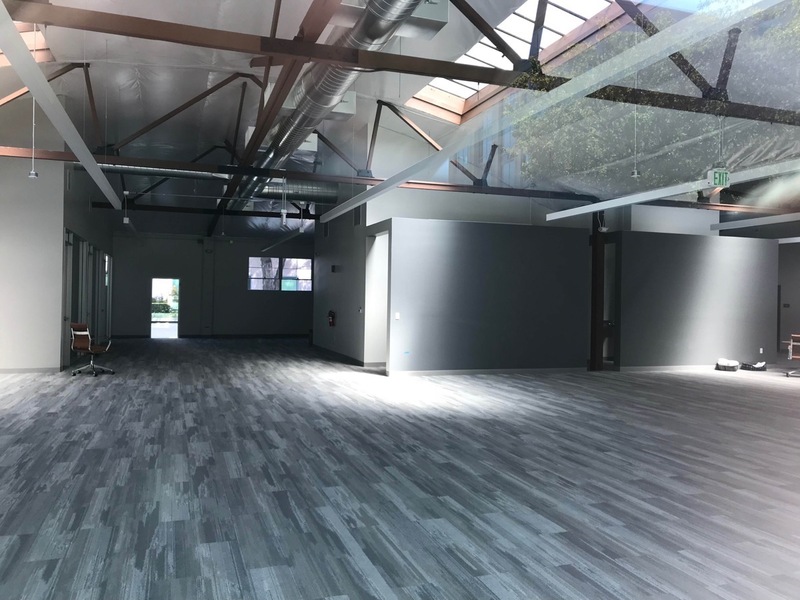 However it does have two decent-sized retail spaces on the ground floor: a 1,300-square-foot space at the corner of Main and Marshall, and a 1,650-square-foot space at the corner of Marshall and Bradford Street. 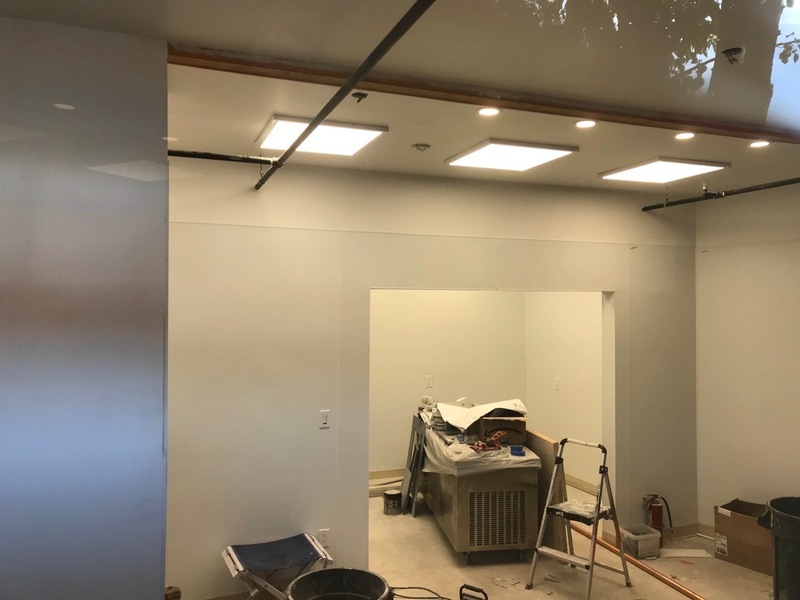 According yet another Peninsula Foodist blog post, the more visible of the two retail spaces—the one at the corner of Main and Marshall—is to be the new home of Coupa Cafe, a small chain of coffee outlets that until now has been confined to Palo Alto and the Stanford campus. 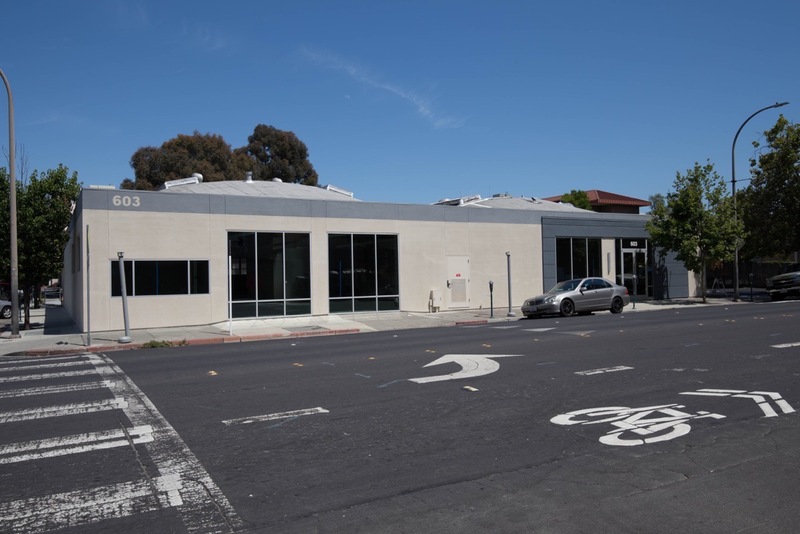 Coupa is expanding, adding a new store in Los Altos plus the one coming to Redwood City. We won’t see ours until close to the end of the year, apparently, but when we do, they’ll likely draw a lot of customers from not only within The Marston itself, but also from the many surrounding residences and businesses. While I don’t drink coffee and thus probably won’t be giving them a great deal of business myself, I’m very glad to see that this attractive storefront in what could be a challenging location (it is a bit far from the heart of downtown for some) will not remain empty. On the subject of surrounding residences, I’m positively thrilled to report that the lawyer who filed a lawsuit against Habitat for Humanity and the City of Redwood City over the six-story, 20-unit affordable condominium project planned for the small lot at 612 Jefferson is settling with Habitat and the City. In return for assurances that Habitat will repair any damage arising from the Habitat project’s construction to the neighboring building at 605 Middlefield (which the lawyer who filed the suit owns), plus some other, lesser conditions, the lawyer is dropping his suit and allowing the Habitat for Humanity project to proceed. This project had been on hold until the legal issues could be resolved, and indeed as recently as Tuesday, when the Planning Commission met, it was reported that the project was stalled due to pending litigation. But assuming that the City Council approves the settlement agreement at their meeting next Monday, it should be full steam ahead. I’ve reported before that another project, the 91-unit condo project planned for the corner of Jefferson and Bradford (the 603 Jefferson project) had also been scrapped, apparently the victim of another lawsuit. I’ve been watching the site for a while: the small one-story building that formerly housed the Women’s Health Club has been sitting empty since shortly after the project was proposed, but recently, now that the housing project is no longer in the works, it has been remodeled. That work seems to be largely complete. You can bet I’ll be watching closely to see who actually does move in. At the Planning Commission meeting there was some brief talk about the 103 Wilson apartment project. 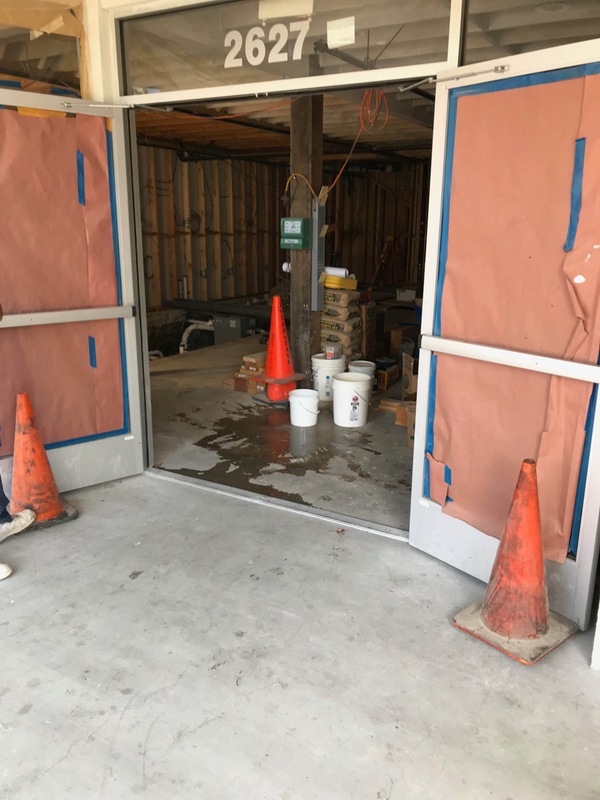 Stephen Turner, Planning Manager for the City of Redwood City, noted that the development appears to have experienced some sort of project management issues that caused it to be delayed. 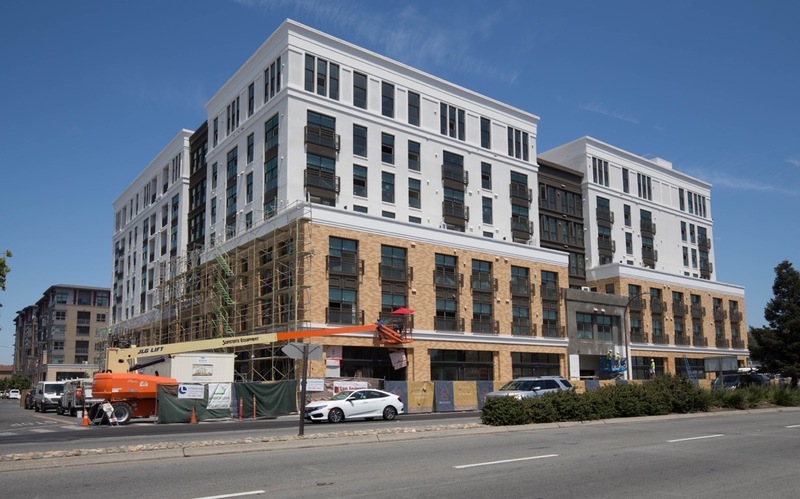 However, the project is back in full swing, and although Greystar (the developer) won’t make their original completion date—they had hoped to be leasing by the end of this summer—they are currently applying the exterior finishes, so perhaps they’ll make the date that is currently on their “Elan Redwood City” website: Winter 2018. I for one am looking forward to the day when the construction fencing comes down and I can once again walk on the sidewalk that fronts this particular parcel. Incidentally, I should note that there appears to be some stirrings of activity on the next-door parcel, where Greystar is planning to build an even larger apartment building. Mostly what I’m seeing are light-duty trucks (and one tractor) that have been parked on the site, indicating that demolition of the old La Mancha Plaza and Sequoia Veterinary Hospital buildings might soon commence. I have yet to see with my own eyes any actual activity, however, so take that with a grain of salt. Finally, I want to make sure that everyone knows about the upcoming City Council meeting, which has a couple of very interesting items on the agenda. In addition to the aforementioned approval of the Habitat for Humanity project (which will go by in the blink of an eye; it isn’t worth attending the meeting just for that), the City Council will consider adding a measure to the November ballot for a half-cent sales tax on items purchased within the city (excluding food and medications). Redwood City is trying to get a handle on some upcoming budget issues, and a sales tax is one way to deal with the problem. However you feel about this issue, pro or con, you may want to attend and perhaps make your opinion known. Do note that the City Council, if they approve this, would only be adding a measure to the ballot: we residents would have the final say as to whether or not such a tax should be enacted when we vote in November. The other agenda item that will be of interest to a sizable number of Redwood City residents is a study session on whether or not to make the Mt. Carmel neighborhood a historic district. Residents of that neighborhood (bounded by El Camino, Jefferson Avenue, Myrtle Street, and Whipple Avenue) should have already been notified of the upcoming meeting, and I expect that a great many of them will attend. There appear to be good reasons on both sides of the issue, and although I don’t live in the Mt. Carmel neighborhood and thus wouldn’t be directly affected, I’m very interested in the subject and thus plan to be there in person. 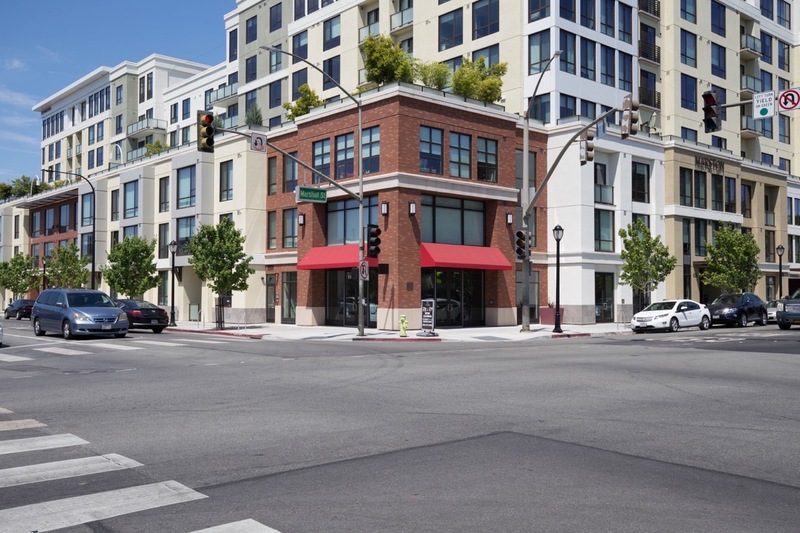 Could the 603 Jefferson site be the new satellite office of Sotheby’s Real Estate in San Carlos? I know they’re opening an office downtown. It certainly could be, yes. I hadn’t heard about Sotheby’s coming to downtown. That makes a lot of sense. Downtown sure is getting a lot of coffee options. CoffeeBar is taking over the space next to vesta. If their Menlo Park location is anything to go by it should e a nice space. Given aggressive expansion of Joe & the juice into the region I wouldn’t be surprised if we got one of those as well…they seem to prefer downtown locations. Yeah, well, I certainly hope that all these places know what they are doing! The demand for coffee is high, of course, so perhaps downtown can handle all of the various options. If it can’t, though, the problem will sort itself out. I certainly am glad that the old Young’s Ice Cream & Candy shop won’t remain empty, though, even if it is becoming a coffee place. And CoffeeBar does serve some food (and iced tea! ), so I’m sure I’ll give them a try at some point. Greystar reps last week told me that demolition for Greystar IV @ 1409 ECR will begin soon … after they finish with the required “remediation” work (e.g. asbestos and other hazardous materials removals, etc.). I was wondering if it was something like that. When I talked to the Greystar reps at the first Greystar V public meeting they merely stated that Greystar was still getting permits and such for the 1409 ECR project, but that it was still very much in the works. I’m glad to get further confirmation of that. FYI it appears that a similar course of remediation will soon begin at the old Honda dealership. They seem to be getting ready for that (the old building that the dealership used to retail parts has asbestos, and I expect that the dealership operations might have resulted in some ground contamination). As I suspected, KB Homes doesn’t seem to be wasting much time now that the Honda dealership has moved out. curious how one even gets on a list for affordable housing. My housekeeper of many years would love to have some affordable housing and she does qualify I am sure but where does she even put her name down? Thank you if you can give me an answer. I don’t know the exact process, but I’d start with https://housing.smcgov.org/information-finding-housing (for San Mateo County) and http://www.redwoodcity.org/departments/community-development-department/planning-housing/housing-services/affordable-housing/find-affordable-housing (for Redwood City in particular). As for actual waiting lists, they’re here: https://housing.smcgov.org/waiting-list. However, as you will see if you go to that page, the lists for every single property on that page are closed. Clearly we need more affordable housing! Hopefully one of the first two links I supplied will give you some help, though.